This book deals with the genesis, outbreak and far-reaching effects of a legal controversy and the resulting outbreak of mass violence, which determined the course of British colonial rule after post World War Two in Singapore and Malaya. Based on extensive archival sources, it examines the custody hearing of Maria Hertogh, a case which exposed tensions between Malay and Singaporean Muslims and British colonial society. Investigating the wide-ranging effects and crises faced in the aftermath of the riots, the analysis focuses in particular on the restoration of peace and rebuilding of society. The author provides a nuanced and sophisticated understanding of British management of riots and mass violence in Southeast Asia. 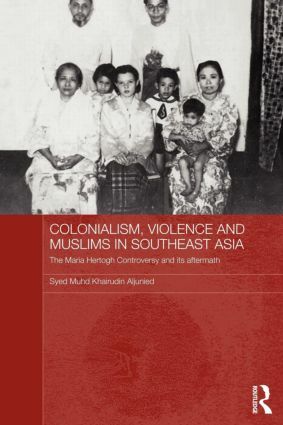 By exploring the responses by non-British communities in Singapore, Malaya and the wider Muslim world to the Maria Hertogh controversy, he shows that British strategies and policies can be better understood through the themes of resistance and collaboration. Furthermore, the book argues that British enactment of laws pertaining to the management of religions in the post-war period had dispossessed religious minorities of their perceived religious rights. As a result, outbreaks of mass violence and continual grievances ensued in the final years of British colonial rule in Southeast Asia - and these tensions still pertain in the present. This book will be of interest to scholars and students of law and society, history, Imperial History and Asian Studies, and to anyone studying minorities, and violence and recovery.